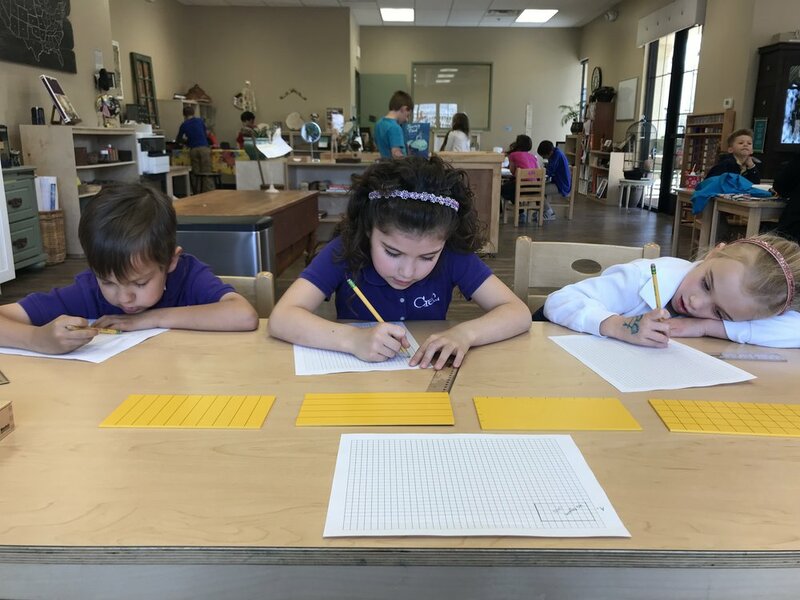 What Is the Goal of the Montessori Going Out Program? The goal of going out is exploration. The lessons about all aspects of the universe are given in the classroom, although the universe itself doesn't fit into the classroom. The presentations become alive when experienced in the real world and then reflected upon. One of the ways to encourage the children to go out into the world, society and the universe is to limit the resources in the classroom. 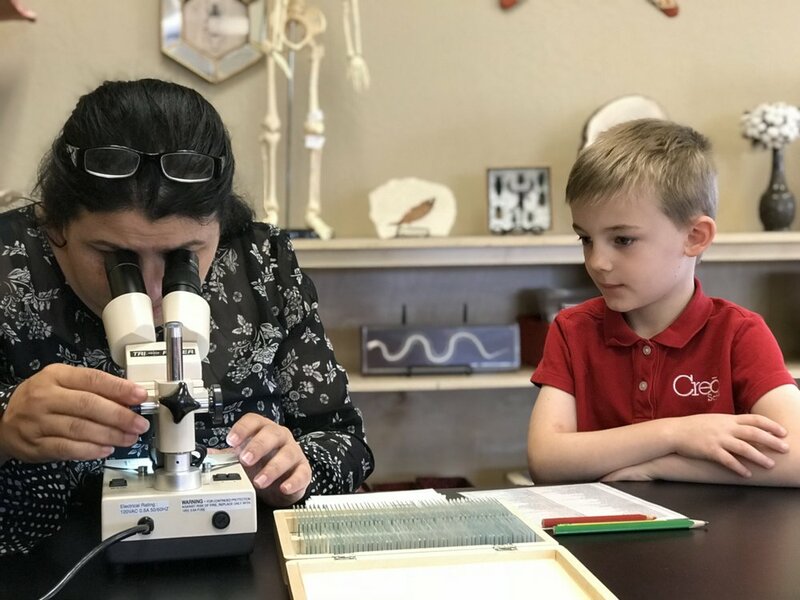 Lessons, few selected books and specimens in the classroom spark children's interests and then to continue with the growth of the interest the children have to go out: to the library, to a museum, to a land site, to a local explorer, to a store, etc. The place of outing becomes an extension of the classroom, their library, their laboratory. The world itself becomes a laboratory for their experiments. Everything that they learn this way becomes alive, vivid, takes multidimensional shape, and wires their minds accordingly, the knowledge received in the classroom then experienced in the world matches their learning becomes solidified in the brain. How Does the Montessori Going Out Look Like? Any topic is possible: the world of baseball. Learning how to find your resources. Mindful shopping: importance of viewing the ingredients. Children are responsible for the whole process: from shopping list, to getting products, to budgeting costs. Children are responsible to make necessary calls to organize their Going Out. 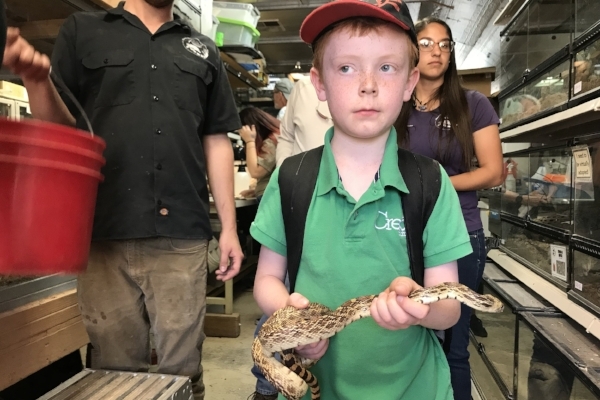 Making an appointment at Herpetological Society. Face-to-face with reptiles that they explored in a book. Interviewing a specialist. Getting their questions answered. 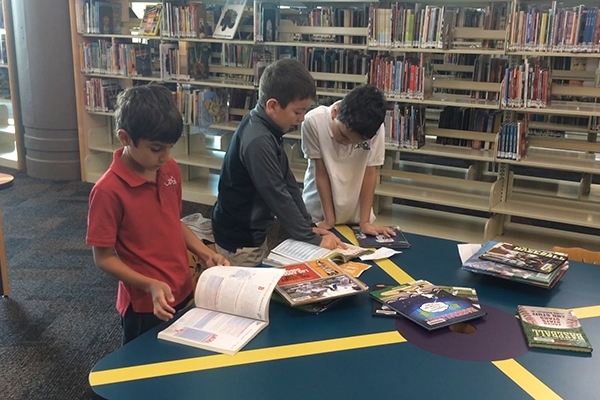 Going Out involves small groups of children (usually two to four) that have questions about a specific topic they are researching (or real work they are extending). The children prepare every aspect of the outing by seeking and arranging all the logistics: decide where they are going, who they will speak to, what they want to find out, map out where they are going, and how will they get there, just to mention a few. Thus the Going Out experiences are always arranged by the children. The role of the adult is to provide guidance when requested and support the children as needed. Usually the first few outings more support is provided and then the children are able to manage more independently. 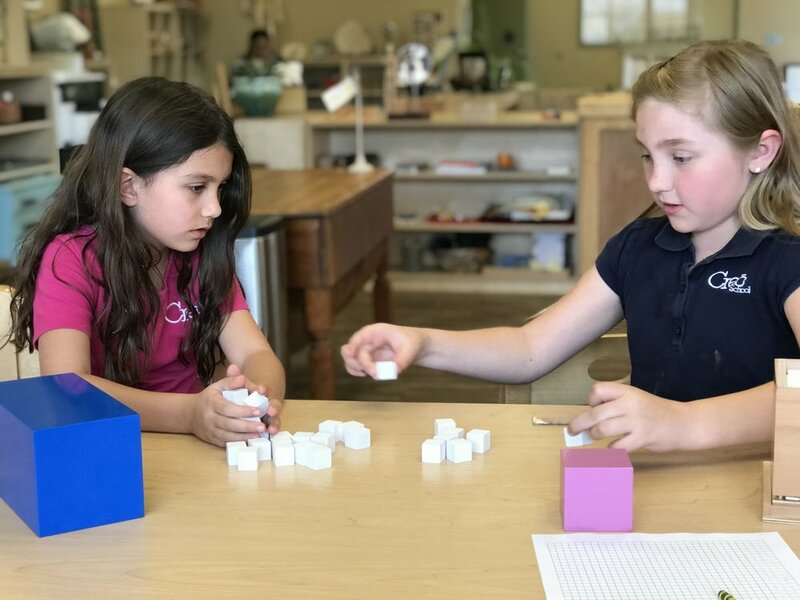 How Can the Montessori Going Out Be Supported at Home? 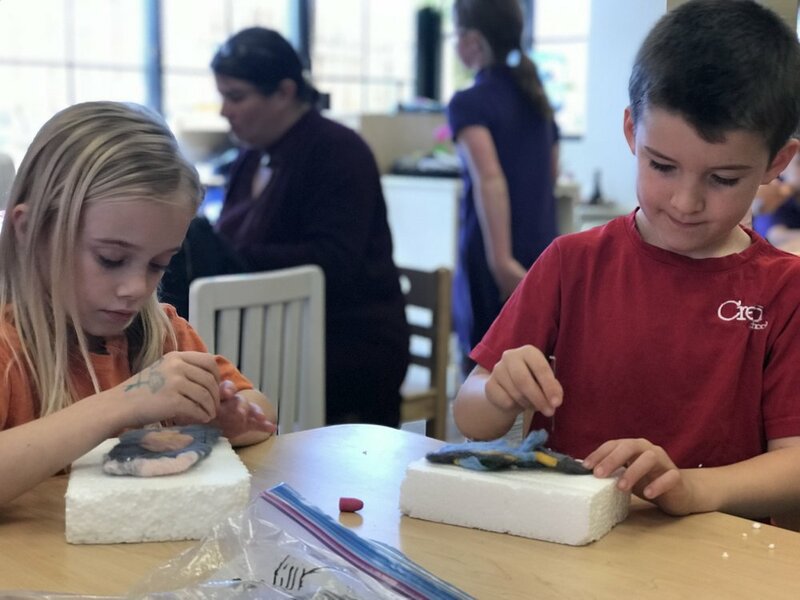 Montessori guides and Montessori parents can work together in the development of the children's skill sets such as: planning and executing an outing, packing a lunch, hiking endurance, grace and courtesy. It is a good practice to talk before the event of the social expectations of the outing so the child can successfully behave in a manner that fits the occasion and have a positive experience. The adults whenever there is a going out from the home environment to a new place (or rarely visited) can use the opportunity to invite the child to plan with them and be an active participant. That preparation helps to develop a sense of responsibility, inclusion, security, confidence, and comfort. The child is then engaged in the outing and is a active member of society. During this age (6-12 years) parents have an immense opportunity in the children's formation. It is the optimum time to help the children in constructing a sturdy foundation for the rough adolescent and teen years in future. The children of this age are still dependent and are yearning more independence therefore the parents need to provide them opportunity of self-direction, especially outside the home. When parents are alert to their children's interests and needs they become partners to their child's discoveries. Parents get the opportunity to be a mentor and be with their child to answer a great number of questions about society and their place within it, who they are and why they are here, meaning of life and death, and all these kinds of questions that allow the child and the parent have a deep connection because of these amazing conversations. The children are moving in all directions according to their refinement of interest. 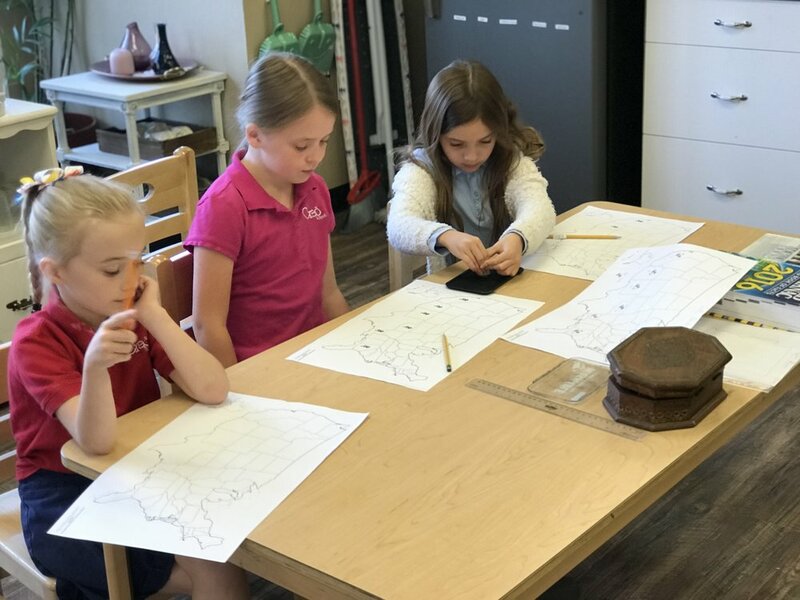 It is always wonderful to see the process of a presenting an inspiring lesson move into a specific area of study. For instance working with the Time Line of Life (which tells the story of life known on earth since the very beginning of fossil history) the group studies together then they each contribute by taking a specific area of interest to explore than come back together to compose as a group the project. To be collaborators and working as a team is a unique experience of project management and many social grace and courtesies (listening, positive feedback, accountability of completing what was promised, and acknowledging each others strengths and helping with areas of growth). 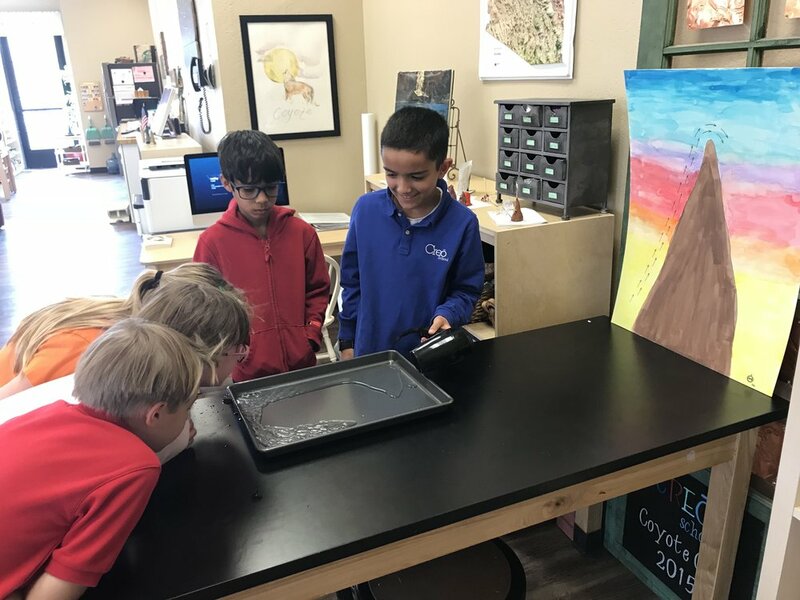 We are gearing up for the upcoming trip to Tonto Creek and are very excited to see the outcomes when they return to the classroom and complete their final projects. Have a wonderful adventure with your precious child, we are being generous and don't want to have all the fun!! Map/Atlas Work: Understanding how natural resources and agriculture impact land use and economy. Equivalency is conceptualized using concrete material. Sharing work space provides an opportunity to see what others are up to and to ask or answer curious questions. Children will naturally seek the dictionary when words begin to matter to them. Refinement of the eye and hand coordination brings concentration. The microscope provides a means to practice the skill of technology and science. Identifying the Noun is a fun group exercise that brings out interesting conversations about language. Understanding topography: Mapping major rivers, mountains and valleys. Volume: Concretely measuring the space inside a solid to understand volume. Abstracting the Formula: Length x Width x Height. Visual evidence of the experience of equivalence into 3D shapes. The study of the skeletal structure of humans is a means to understand oneself. Contributing to the classroom gives a sense of purpose and pride, especially when done with effort. Exploring the concept of area using units sqaures. Exploring the animal kingdom according to their diet and categorizing them under Carnivore, Omnivore & Herbivores. Demonstration of how heat, air and water relate to each other. Charts and experiments work together to bring Laws of Nature concepts concretely. Enrichment of vocabulary: Using the dictionary to explore the meanings of new words. The children are separating a sentence into its logical components. Understanding that some sentences has two or, more than two independent proportions. The children are working deliberately on the follow ups directing their energy evenly among all the subjects of the Cosmic Education. Although the biggest excitement and interest is in the areas of geography and history lessons. A couple of groups finished their researches and presented their discoveries to the classmates. There is a big interest in sewing. 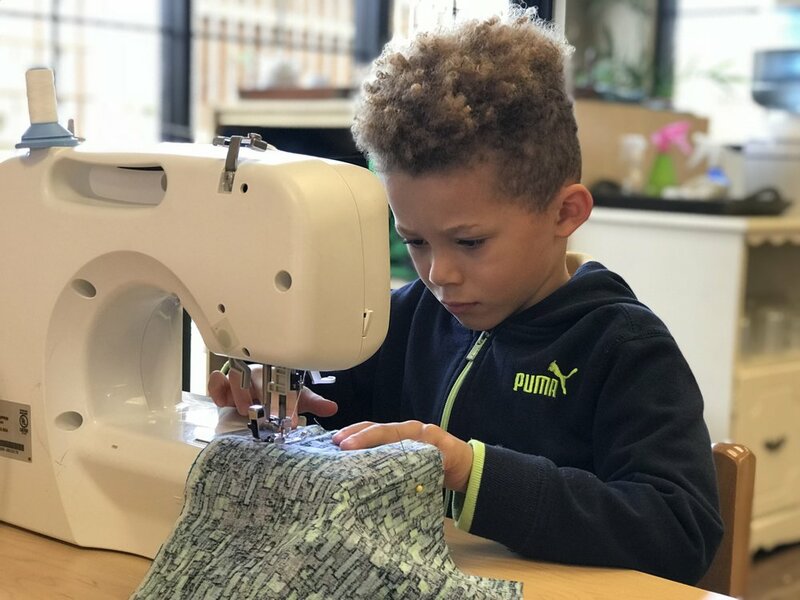 The children came up with some sewing project ideas like making a journal cover, pillow, or even a quilt. 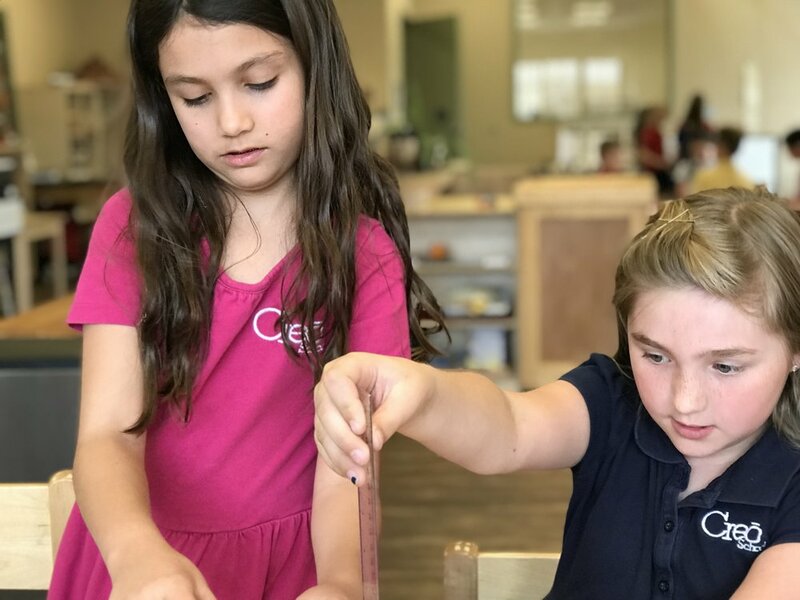 This interest brings alive many skills that are learned in the classroom: calculating measurements (all four operations are utilized in the process), fractions, and then measuring fabric; eye-hand coordination when fitting all pieces together. Children are excited to work with their hands in making something that they value. Thank you very much for supporting this interest by buying fabrics for your child so they can use it in the classroom to enhance their creativity. Studying how different peoples fulfilled their fundamental needs. Understanding vocabulary and the forms of written expression with concrete material. Enrichment of vocabulary through the study of geometry. Comparing 5 classes of Vertebrates (mammals, birds, fish, amphibians, and reptiles) with concrete visual aid. Children are fascinated to find out how water works. Using the River Model they see the water carve, carry, and deposit. Sewing a pillow: measuring, precision cutting, and concentration at play. Eye and hand synchronizing to make a beautiful product. To illustrate images from your own story builds a love for reading. Putting language into music by understanding a notation. Montessori material layouts give a visual understanding of an abstract concept. Newer:Self-ConstructionOlder:Human Tendencies: Orientation, Exploration and Order.